"a truly horrible start to a holiday"
Not Verified | So awful that I have already resolved never to return. Actually made me weep, a truly horrible start to a holiday and I’m already dreading the return which I’ve heard can be even worse with the added stress of a flight to catch. Over 2 hours to get out of the hell hole. Interminable queue after queue. Pointless checking of passports just to leave the passport hall after you have already gone through passport control. Took so long that our baggage reclaim was gone. Then more queuing to have bags scanned before leaving the place. Never again. ✅ Trip Verified | Most terrible customs system in the world. Absolutely unnecessary checks in arrival and departure and extremely inefficient queuing system. Why queue for 1 hour just to leave the country? Are we just supporting useless employment at the cost of everyone traveling to drop money in the country? I hate coming to this airport with a passion. Please stop the paper based control. It's 2019. ✅ Trip Verified | Disorganized. I have been controlled 5 times to enter the departure area. 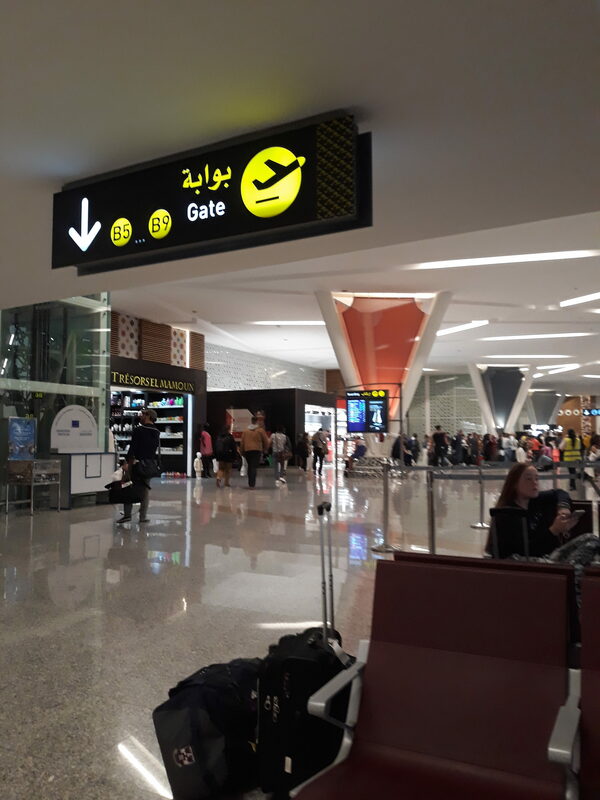 They were not able to display that the plane is late (even so it arrived only at departure), then they showed 'Boarding' at the lounge when the plane was not even there, and at the displays at the gate it was even a boardibg time announced that was in the past (see foto). A joke. "we had absolutely no problem"
✅ Trip Verified | Dreading RAK because of the reviews here, but we had absolutely no problem. Since we were first out of our Ryanair flight we had a minimal waiting time at customs. After that someone has to check your stamp and than you put your luggage in a scanner for declaration. We were out of the plane and in our taxi within 20 mins. Inbound also good. The only inefficient thing is that you have to stamp your boarding pass at the counter, even if you travel hand luggage only. Since you only see that message near security, you have to go all the way back to and wait at the check in counter. Not very smart, and it would be wise to make the announcement when you enter the airport - but all in all it took us a little over half an hour from taxi to gate, which was fine. Yes, staff are unfriendly but show me an airport with friendly staff. Limited seating at the gate in this beautifully decortaed and spacious airport, but not a big deal. 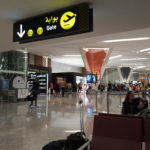 "I have had a very positive experience"
Not Verified | I have been reading lots of comments about the queues in Marrakech airport and was afraid of being there and treated badly. Fortunately, I have had a very positive experience. The arrival, except filling in the landing papers, was not much hastle and took less than 15 minutes to leave the airport. The departure was the same - neither queue was too long, so that it took us max 45 min to get through security and customs. Even Ryanair was no problem, although I expected a drama. Therefore for all you visitors to Marrakesh, obviously, there has changed something to better, than in the past. ✅ Trip Verified | Terrible experience. The staff at the security check was very rude. A woman commented on my outfit and made fun of me. Really unprofessional. The passport control was the same. No hello or goodbye. Terrible staff but at least the place is clean. 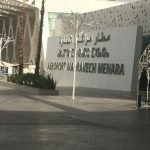 "it also was quite unorganized"
✅ Trip Verified | Beautiful airport in Arabic style. It was clean, clear where you had to go to, all prices are in euros and they accept both dirhams and euros (and of course debit/credit card). But unfortunately it also was quite unorganized. Transavia shared the gate with EasyJet and that flight was delayed and their boarding time became the same as ours, it was very confusing and instead of changing our gate number it became one big mess. People from both airlines were waiting in the queue. The airport crew started screaming at us that we were not allowed to stand near the gate even though we were standing 4 meters in front of the gate, she told us that she called the security (but when they arrived they couldn't do anything because we did nothing wrong). If the airport gets better organized I would definitely give it a 8/10. 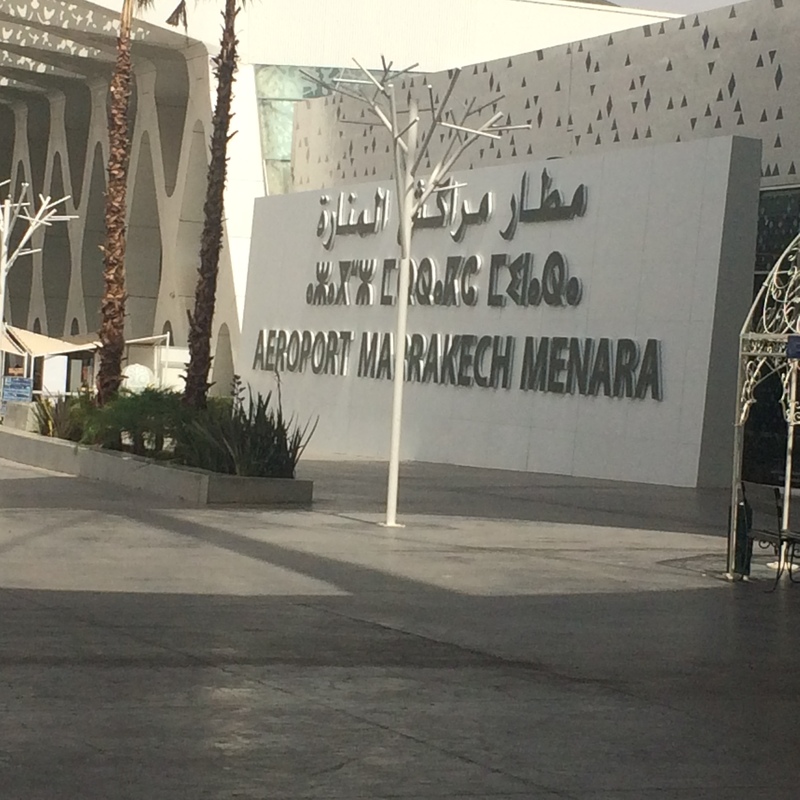 ✅ Trip Verified | Marrakech airport was a terrible experience in terms of customer service, and in particular we had a terrible and frustrating experience with Ryanair. Hostess that attended to us was unpleasant and unfriendly with no eye contact talked very rudely to us. I was disappointed by the inappropriate attitude and unprofessional behavior. We had the worst 3 hours of our trip with a lot of stress and tension because of the ground staff and all the Ryanair employees. I am a frequent flyer, and I have never had such a bad experience. I won't come back. ✅ Trip Verified | I flew in on the 25/11 and it took 40 mins from exiting the plane to collecting my bag and exiting the airport. Departed on 09/12 and once again, speedy transfer through airport. Have your boarding pass and departure card filled out ready and it’s easy. Generally friendly staff. Brand spanking new airport, very clean, plenty of toilets. Segafredo meal deals well priced, staff super helpful and friendly. Duty free prices are different though! Not Verified | Bureaucratic, ineffectual and obstructive police failing on a grand scale to ensure smooth throughput of passengers. We felt like herded wild animals. The staff would have made use of whips had they had them. The task was beyond them. Stupid queuing setups, inadequate employees who were entirely indifferent to imminent departures of flights. I will not forgive them the distress they caused. Our last memory of a vibrant trip. Unlikely to set foot in the country again. This is an airport experience no-one should suffer.